McDonald's is located in an ideal place at 113 Hastings Road, a 11.76 mile drive south-east from the centre of London, in Bromley Common (near Bromley Bus Garage). The restaurant serves the people of Petts Wood, Southborough, Crofton, Keston, Locksbottom, Bromley Common, Farnborough and Hayes. Today (Friday), service starts at 5:00 am and ends at 11:00 pm. Please review the information on this page for McDonald's Bromley Common, London, including the business hours, address info or direct phone. You'll find McDonald's situated in a prime place near the crossroads of Gravel Road and Hastings Road, in Bromley Common, London. Only a 1 minute trip from Lower Gravel Road, Jackson Road, Barham Close and Cherry Orchard Road; a 5 minute drive from Croydon Road, Oakley Road and A21 / Farnborough Common; and a 9 minute drive from A21 / Bromley Common and A21 / Farnborough Way. Users of route planners should enter the following postcode when traveling here: BR2 8NH. It's within a short walk from the bus stops at Oakley Road The Limes, Hastings Road / Trinity Church, Lakeside Drive and Bromley Bus Garage. Serviced by routes 261, 336 and 358. Visitors may take the train to Hayes Station (1.55 mi), Petts Wood Station (1.72 mi) and Bickley Station (1.73 mi away). Getting here is simple along the line: Southeastern. In walking distance, you will come across Bromley Golf Centre, St. Luke's Cemetery, Scrubs Farm Sports Ground, The Acorns Bromley Common Cricket Club, Ravens Wood School and Bishop Justus Cofe School. At this moment, McDonald's owns 128 restaurants in London. Click on the following link for a complete listing of McDonald's branches near London. Please note: working times for McDonald's in Bromley Common, London may be altered over the UK holiday period. For the year 2019 it is applicable to Christmas Day, Boxing Day, Easter or Spring Bank Holiday. 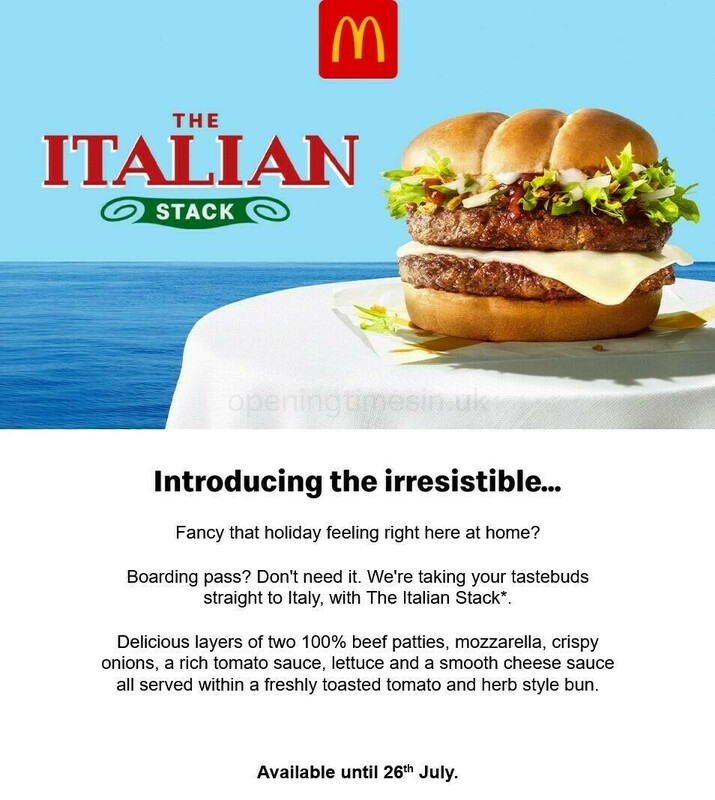 For added details about the holiday business times for McDonald's Bromley Common, London, visit the official site or call the service line at 370 524 4622. We are always striving to deliver you with the most current information. If you have found any discrepancies or errors in the address particulars or working hours for McDonald's in Bromley Common, London, please inform us by making use of the report a problem form. Below, please comment on McDonald's using your words, or use the star rating scale.